Vår fantastiska storsäljare Hyaluron Pro Beauty Fluid Serum. Serumet innehåller hela 2% koncentrat av lågmolekylär hyaluronsyra vilke tär betydligt mer än de flesta produkter på marknaden. Aqua, Sodium, Hyaluronacid, Pentylene glycol, Caprylyl glycol, Hydroxyetol cellulosa, Etylhexyl glycerin, Glyceryl capalate, phenylpropanol, Glycerin, Milkacid. 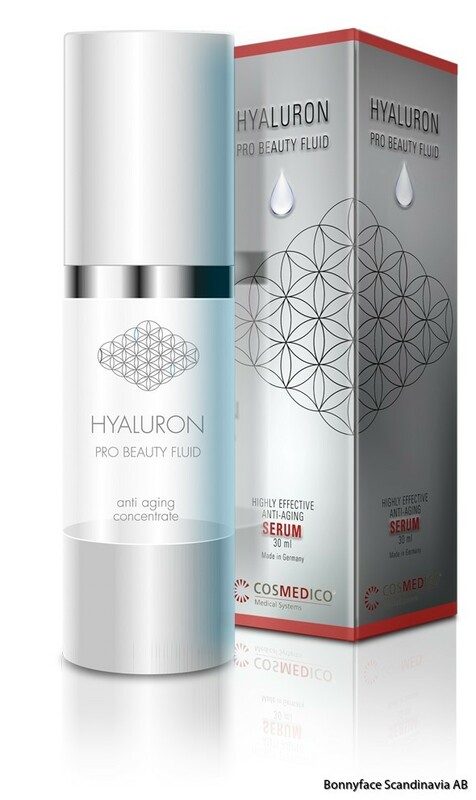 Our best selling fantastic Hyaluron Pro Beauty Fluid Serum. The serum contains a whole 2% concentrate of low molecular weight hyaluronic acid which significantly exceeds most products on the market.